Fisher & Paykel is a bit of a unique name in the appliance industry, but they make some mighty nice appliances for the home. 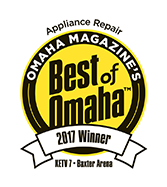 When Omaha folks are looking for professional appliance repair, they call Andy’s Appliance Repair for exceptional kitchen, laundry and ice making appliance repair service. With over 45 years of experience delivering exceptional service and replacement parts on models old and new, we’ve been around the block enough to have a firm understanding of what our customers expect when it comes to getting the job done right and in an affordable and timely fashion. Andy’s is a Fisher & Paykel certified service company, able to perform warranty and non-warranty repairs for the full line of Fisher & Paykel residential appliances. Even though we are factory trained we continue to train and learn on new model Fisher & Paykel and keep up with the changing technology so that we bring you the most skilled and current technicians, most qualified to perform safe repairs and bring your unit back up to factory specifications. 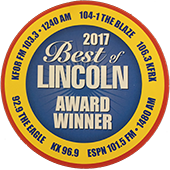 Another core quality that we hold dear is that every day we strive to bring you the very best customer service and experience possible. 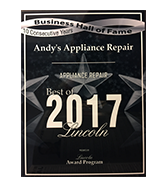 Once you’ve scheduled your appointment for an agreed-upon 2-hour window time slot, you can rest assured that Andy’s Appliance Repair Master Certified Technicians will keep their appointment. We will be punctual, so that you don’t have to worry about taking an entire half-day (or even whole-day) off of work just to get your Fisher & Paykel washing machine repair or Bosch dishwasher repair work done. We understand the importance of punctuality, and it’s one of the qualities that we hang our hat on. We even send out an email the day before confirming your appointment along with the name and photo of your technician, so you know who will be on your doorstep the following day. 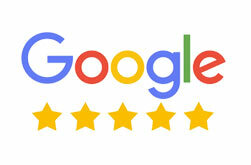 This makes many of our customers very happy because they know who to expect on their door step the next day.